1) Job Descriptions. Having complete and current job descriptions is critical to successfully comparing your institution’s positions with similar positions in the market. Before you choose a source for market data, take the time to evaluate current descriptions and work with managers to update them as needed. 2) Benchmarking. 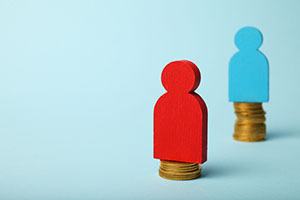 Making the right comparisons — using position-specific data and carefully selected peers — can make all the difference when planning salaries that will make your institution competitive in the labor market. Different benchmarking strategies will be required for different employee groups — administrators, staff and faculty (and even different types of faculty). 3) Compa-Ratios. How competitive are your institution’s salaries? How equitable is pay among your workforce? One quick way to identify potential trouble spots is with comparison ratios, or compa-ratios for short. Simply stated, a compa-ratio compares an individual employee’s salary to the midpoint of a given salary range. But you don’t need a pay range as a basis for comparison to benefit from compa-ratios — you could also compare your employees’ salaries to appropriate benchmarks from market data. Comparing the salary of your chief compliance officer, for example, to the median salary for institutions with the same classification or affiliation can help you determine how your institution’s pay compares to your peers. Moving to a market-based compensation strategy is a significant undertaking, and the key to making it work — particularly in more competitive markets — is choosing a salary data source that provides reliable data that aligns with the positions you are evaluating. The right data will help ensure that you have a consistent and transparent means of setting competitive salaries well into the future.